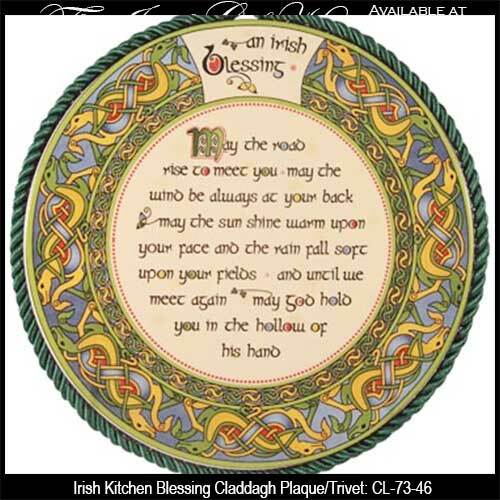 This Irish blessing plaque features shamrocks. 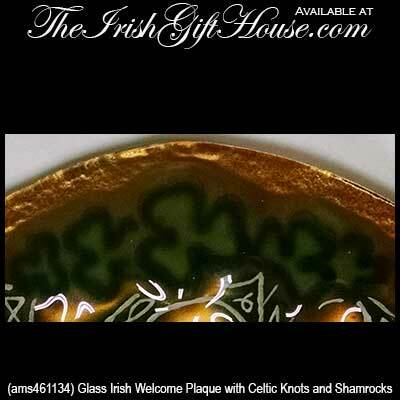 Wooden Irish house blessing plaque with shamrocks. This Irish blessing plaque is a canvas print that is enhanced with a cottage. 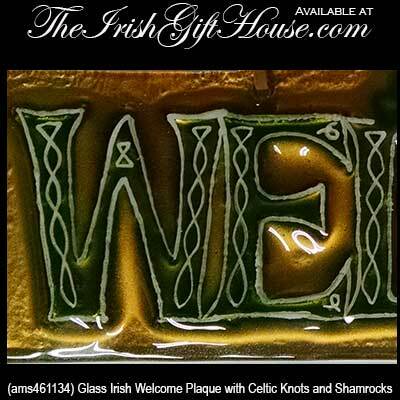 This Irish welcome is a glass blessing plaque that features Celtic knot-work and shamrocks. 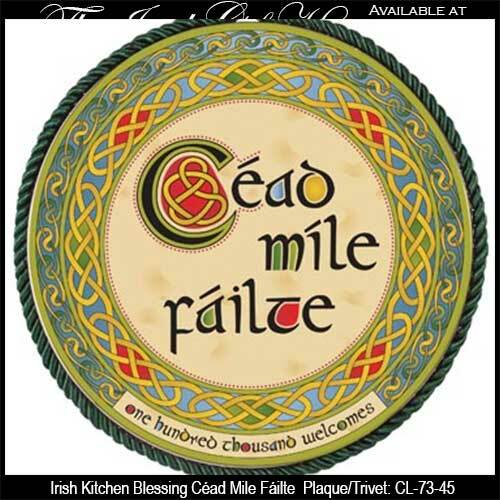 This Céad Mile Fáilte sign with Celtic knots will also serve as a kitchen trivet. 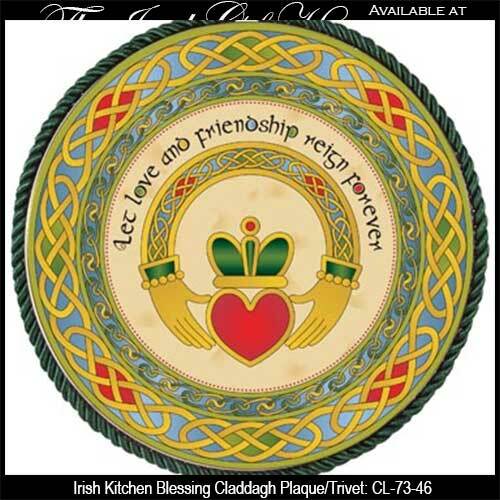 This Irish blessing plaque with Celtic knots will also serve as a kitchen trivet.